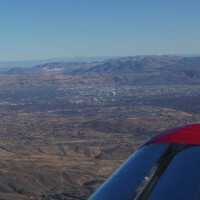 At the end of the last article I was returning from the practice area to land at the Stead Airport (KRTS). 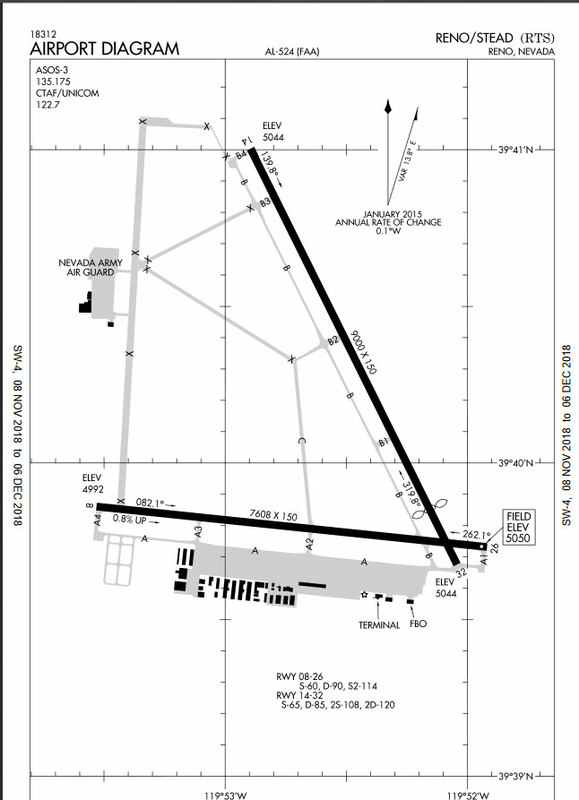 The winds on departure, according to the AWOS, were 110/8 and I had selected Runway 08 as my departure runway. At that time there was no other traffic operating at the airport. Since I had only been gone from the airport for about a half hour I was expecting not much change in the weather conditions. Aah, but this is Reno, NV. The AWOS now was reporting winds at 130/12 so Runway 14 was the clear choice.I figured I’d do a few touch and go landings for practice. As I was north of the airport and maneuvering toward a point where I could execute a 45 degree downwind entry to Runway 14 I heard other traffic call entering downwind for the same runway. Normally this wouldn’t be much of a factor – just find the traffic visually and take the necessary spacing to safely share the traffic pattern. 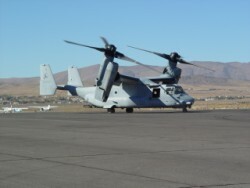 However, my traffic was a flight of two Marine MV-22 Osprey Tilt-Rotor aircraft. That put a different spin on things, so to speak. We (the airport tenants) had been advised that military operations were scheduled be conducted off of the Stead Airport for about a week and a half and that ‘vertical lift’ aircraft (up to a dozen) would be arriving. I managed to be in the pattern when the first two arrived. I gave myself a short delay vector on the way to my downwind entry and arrived midfield as the second V-22 was turning final. 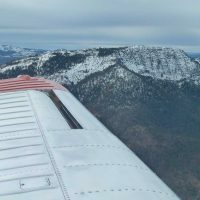 I slowed and configured early and turned base to final a little farther out than I normally do to give them time to get on the ground and exit the runway. When I turned final I saw that both Osprey were off the runway. One had crossed the parallel taxiway to start down taxiway C which crosses the middle of the airport on the way to the ramp. The other Osprey was in the middle of the parallel taxiway and clear of the runway but neither plane was moving – probably going through their after landing checks and trying to figure out how to get to the Army Guard ramp on the West side of the airport. Those are really big rotors on those things and even though they were not generating lift with the aircraft stationary they were still churning up the air. The flight lead then called that they were taxiing to the ramp via taxiway C and they started to move. Just the small amount of lift generated to move the aircraft forward for taxi resulted in a cloud of dust moving across the runway about where I would be lifting off for my touch and go. I elected to practice a go-around rather than a landing. I stayed above 500′ AGL and made my way to the end of the runway to give it another try. The pattern was fine however the landing was a bit ‘unsettled’. The control movements necessary to get a relatively smooth touchdown were almost continuous. The winds were obviously in transition. I elected to take the parallel taxiway back to the ramp rather than follow the Osprey flight. It was a little longer but I didn’t need to be concerned about catching up with them as they slowly made their way across the airport. 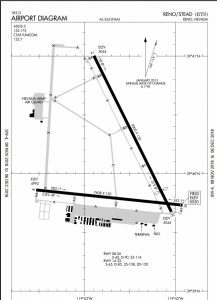 They ultimately decided to taxi west on Runway 8-26 from the intersection at taxiway C to the closed runway that leads to the Guard ramp. As I crossed runway 8-26 on taxiway B the wind sock there said the winds had changed to favor that runway – at least at that location on the airport. After putting the airplane away I drove out of the airport and as I did I glanced at the wind sock again. That view caused me to listen to the AWOS again. The winds were being reported as 320/15. Flying at Stead is like a box of chocolates…. 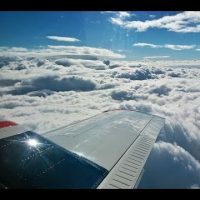 "The way I see it, you can either work for a living or you can fly airplanes. Me, I would rather fly."